Me and one of my friends in my class decided that we would put our money together, and split everything. We went to Harris Teeter to buy our groceries, and spent quite a lot of time in the store searching for good deals, and comparing prices. We also had to keep track of how much everything was going to be, so that we didn’t have to put anything back at the register. After nearly an hour, we decided we had gotten everything we needed and just hoped that we had done all the math correctly. 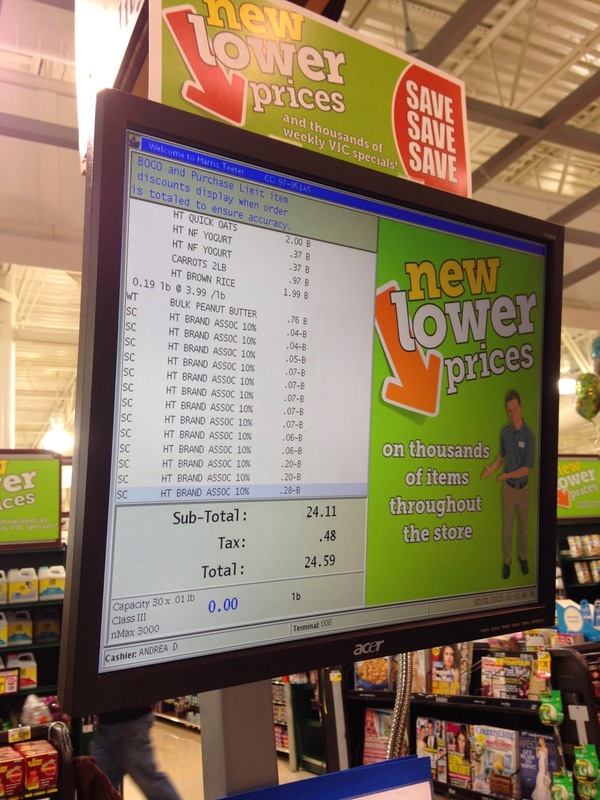 As the cashier was scanning all our items, we were anxiously watching the total get closer and closer to our budget of $24.60. Finally, the cashier said, “and your total is $24.59,” we were ONE PENNY under budget. We couldn’t hide our excitement, we did it! Now, the hard part was going to be eating only that food for the next three days. Both of us had a busy week ahead of us, including our first exam of the semester. Our combined food ended up looking like not as much once we started dividing everything up, but we still had lots of confidence in our food choice decisions. 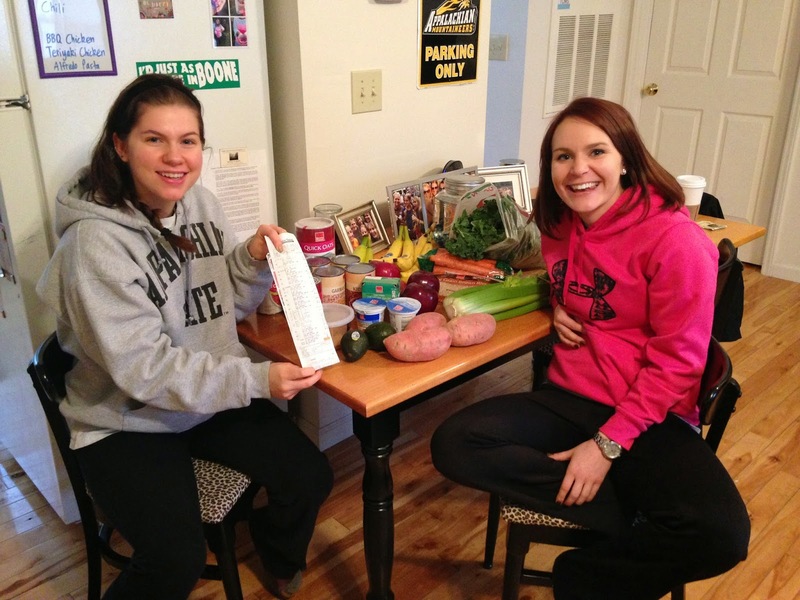 We tried to choose foods that were filling, and that had a lot of bulk/fiber to keep us feeling full. But we also “splurged” on some luxury foods like avocados and coffee. On the first day I woke up with an intense migraine, one of those migraines that are so bad it makes you nauseous. This happens to me maybe once or twice a year, and for some reason it just had to be on the first day of the SNAP challenge. I decided to spend most of the day in bed, thankfully my one class was cancelled and it was snowing/blizzarding too bad for me to drive anywhere. 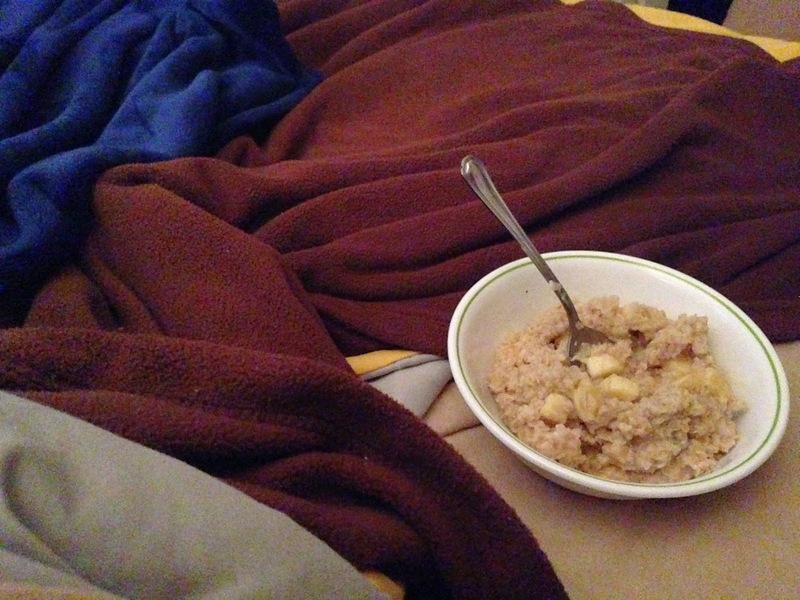 This migraine was unfortunately a blessing in disguise, because all I felt like eating was bananas and oatmeal; two of the foods that I got the most of. For breakfast I had one banana, and 1 cup of oats with a teaspoon of peanut butter. That was enough for my stomach to handle until later in the afternoon when I woke up from a long nap and had another bowl of oats with a banana and an apple. 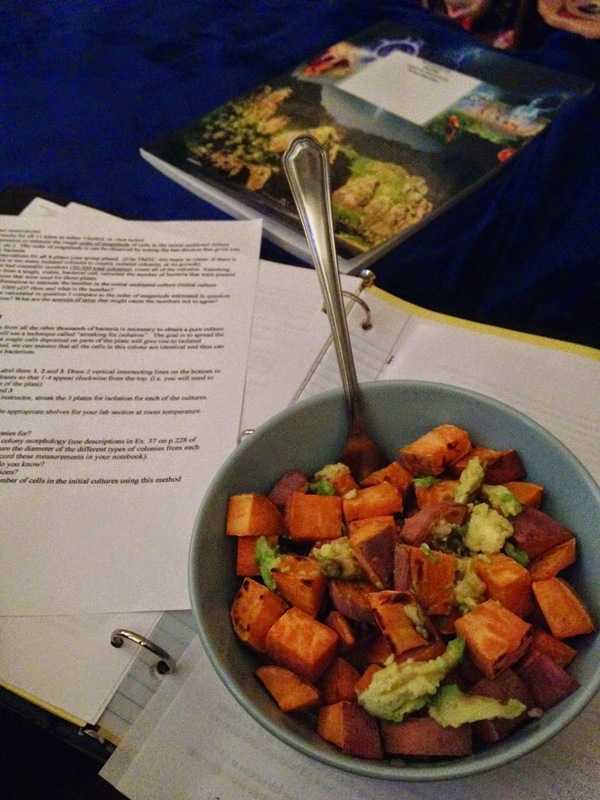 After my migraine started to fade away, I knew I needed to eat some more food, so I roasted one of my sweet potatoes, paired it with some rice and enjoyed that for dinner. Later that night I ate some celery as well, hoping that I would feel much better in the morning and be able to eat a lot more. Day two was much better than day one. I woke up with no migraine, and ready to start a new day on the SNAP challenge feeling much more like myself. The night before I had planned out exactly what I was going to eat, and even felt good enough (or maybe it was an excuse to not study for my test) to cook a Mexican dish with my black beans, tomatoes, rice, and kale and whip up some hummus with my garbanzo beans. Those two things were on my menu for day two of the challenge. 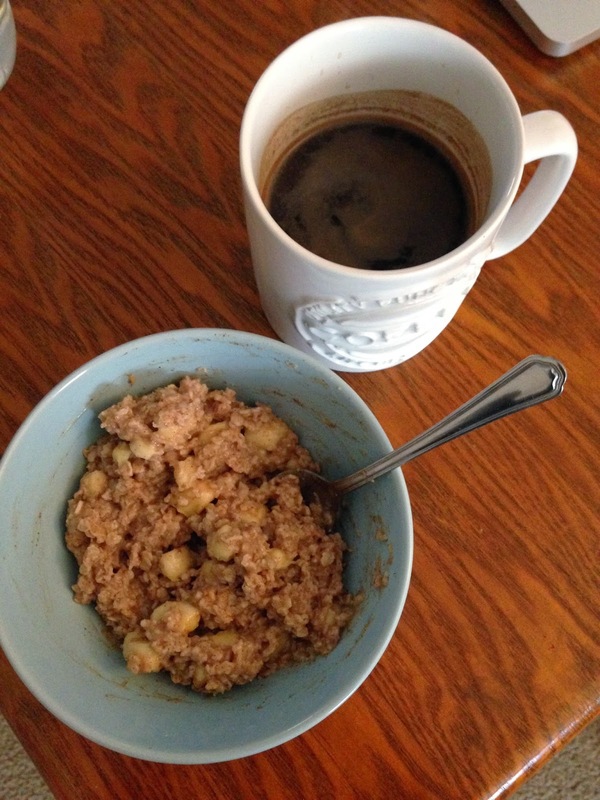 I woke up and was pretty hungry, especially for my oatmeal and coffee. Oatmeal is something I have almost every morning, so I’m definitely used to it. I typically put flax seeds, almond milk, and pumpkin seeds in my oats so on the challenge I’ve definitely been missing all of the extra little things I usually include in my dishes. So for breakfast, I had 1 cup of dried oats made with water, and a banana, cinnamon, and a tablespoon of peanut butter all mixed in. I paired that with a strong cup of French pressed coffee, and I was good to go. I had three classes following breakfast, so I decided to pack myself one of my apples, about two tablespoons of hummus, three carrots, and two stalks of celery. 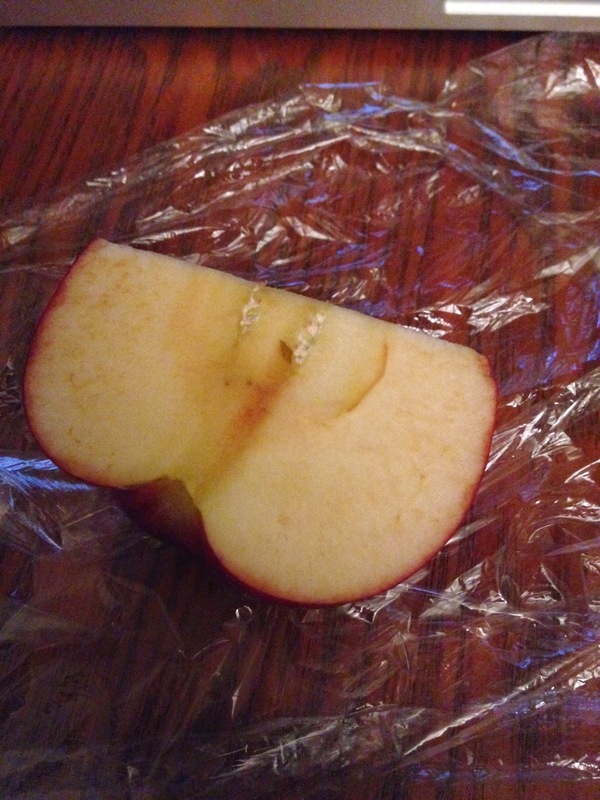 I definitely underestimated my hunger during those next four hours, because all of those snacks did not fill me up at all (even though I tried to eat every last bit of the apple, I think I may have eaten a seed by mistake!). I wasn’t lightheaded or anything, but my stomach was definitely grumbling most of the afternoon. But I knew I had a big bowl of of my Mexican dish I had made waiting for me at home. I also still had two big sweet potatoes, so I could enjoy one of those as well. 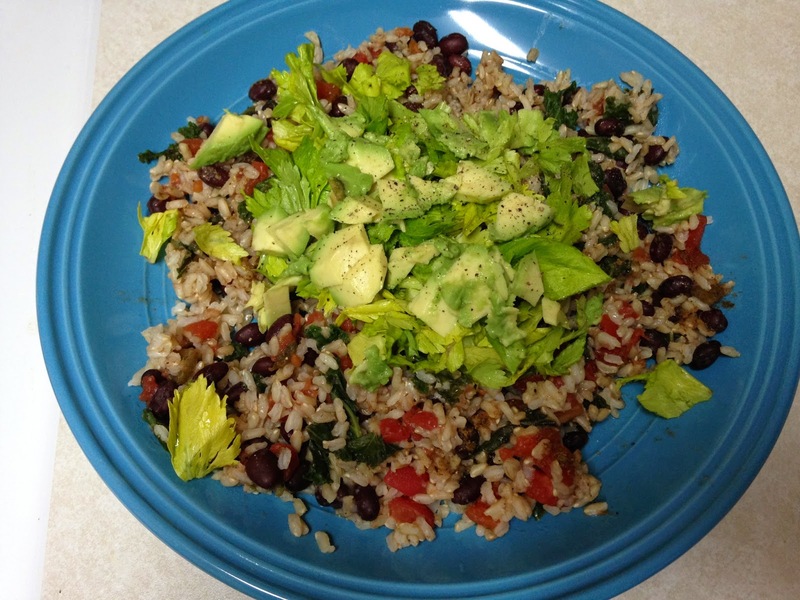 As soon as I got home I made a big plate of the rice, beans, kale, and tomato dish I had made, topped it off with some celery leaves and avocado and I was in heaven. It looked pretty delicious if I do say so myself. I think one thing I’ve learned in the challenge is to enjoy the little things, one being making food feel/look good. I decided to use some of the celery leaves not only for it’s nutrients, but also for it’s color and crunch. Because the dish was rather bland, I knew the celery leaves would give it some freshness, which it definitely did. I ate my dinner around 5:30, so by 7:00 I was hungry once again. I think this has been the biggest struggle for me, because I don’t really eat meals but instead snacks throughout the day. I’ve been having to learn to make things last, and to eat small bits of food instead of eating it all at once. So instead of having the sweet potato with the Mexican dish, I decided to wait and eat it later so I would feel like I was eating more food. 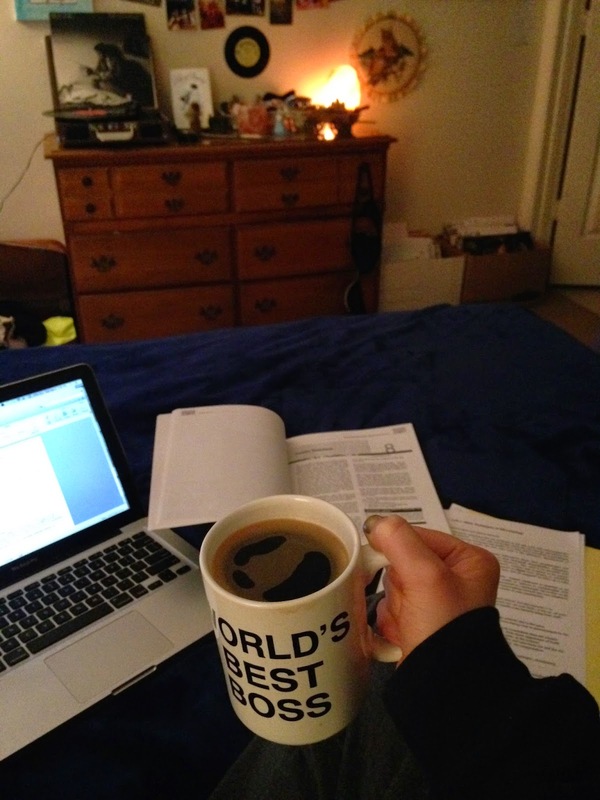 I also had a lab report I had to write, so I decided to fix a cup of coffee to not only keep me a little more satiated, but also to keep me awake. Day three went about the same as day two. The last day seemed to last forever though, all I could think about was going grocery shopping and stocking back up on all my favorite foods that I’ve missed. I ate about all the same foods on day three as I did on day two. I think that was the most challenging part of the challenge, was eating the same thing over and over again. It was definitely difficult to crave something, and not be able to eat it. I like to eat what I crave, and feel like my body needs rather than just eat something because it’s on the “menu” for the day. In the three days I really missed my fresh fruit. 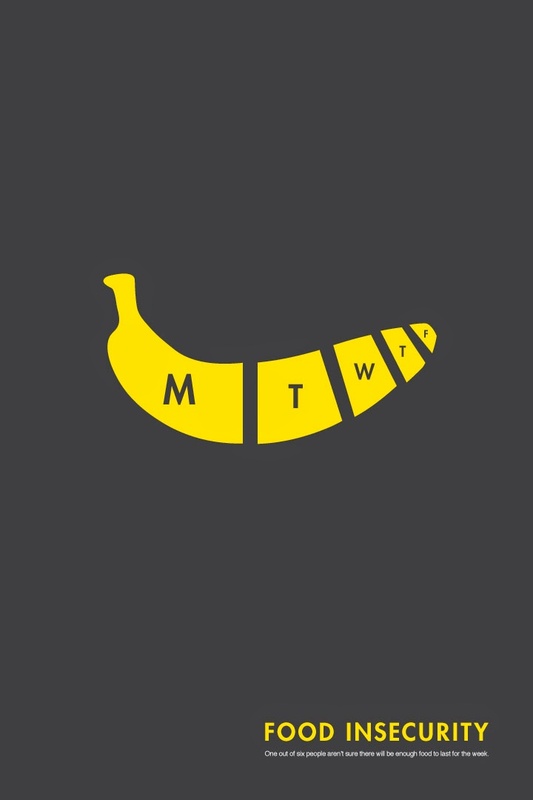 Fruit is a huge part of my diet, so only having five bananas and two apples as my fruit for three days was very difficult. My overall experience with the SNAP challenge was about what I expected. I really got a grasp at what it feels like to be limited on what I can buy, eat, and cook. 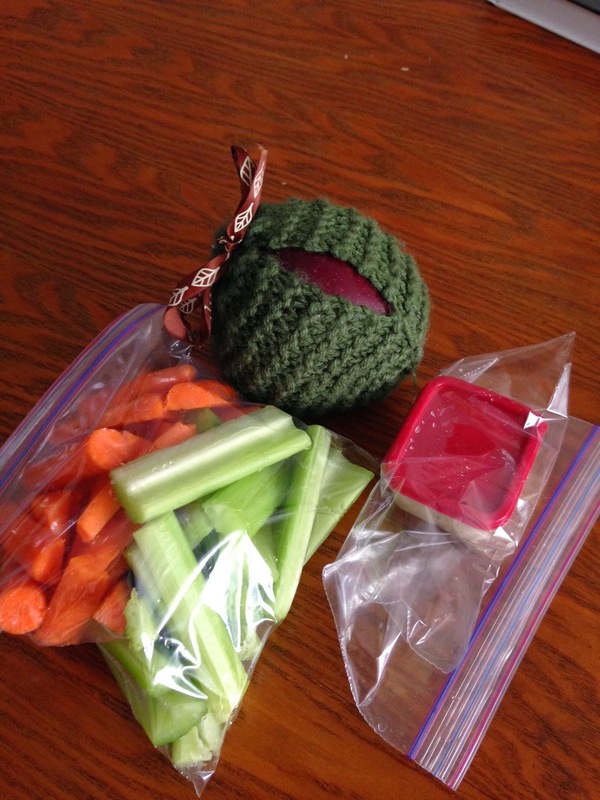 While on the challenge I ate foods that I typically would eat, but just on a smaller scale. Some people may ask, if I could eat healthily on a SNAP budget, why can’t everyone? 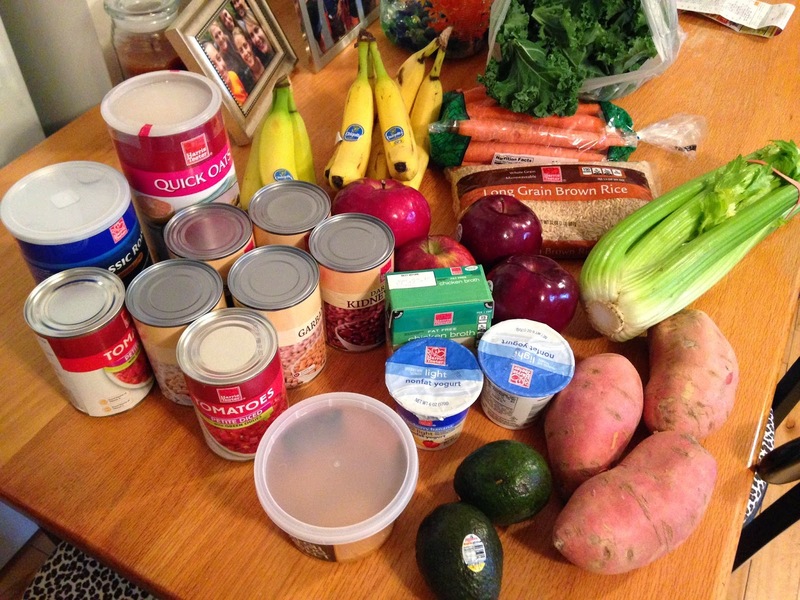 Why is obesity and food insecurity such a common occurrence? Well there are many reasons for why it is difficult for SNAP recipients to eat healthily on food stamps but there are two main reasons I want to address. 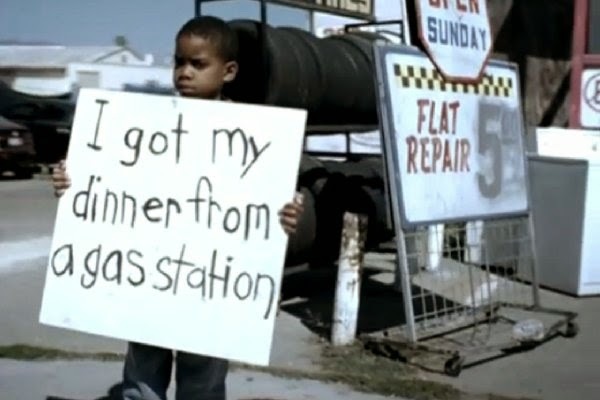 One is food deserts, or places where affordable, fresh, and healthy foods are difficult to obtain. 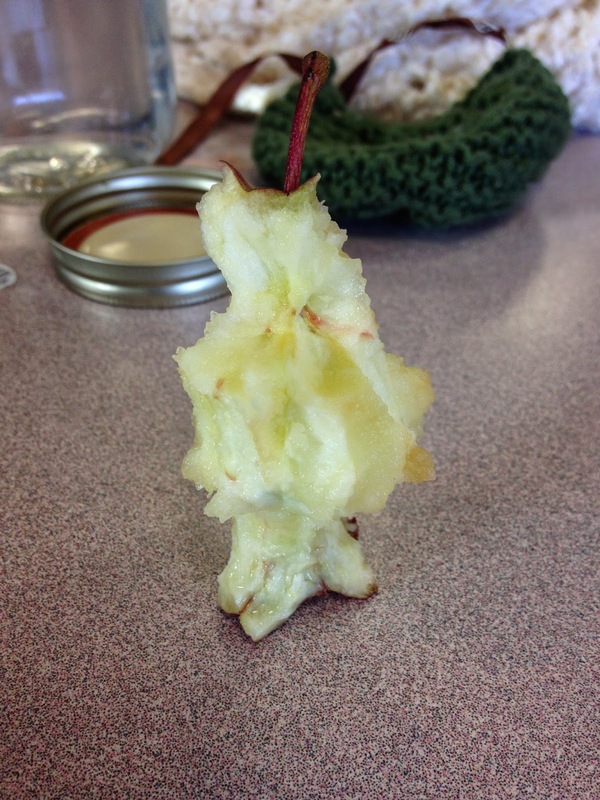 In our class we’ve learned about some SNAP recipients may have to travel (by their own car, bus, train, subway, or by foot) two hours round trip to have access to fresh foods. 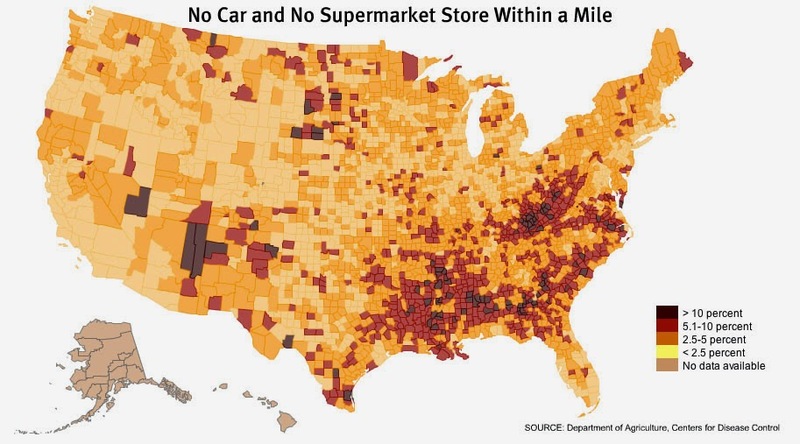 This is a mind blowing fact, because most of us take driving five minutes to the grocery store for granted, myself included. This challenge would’ve been ten times more difficult if I had no access to fresh food, or even healthy foods. Another reason is lack of education. Not only have I done lots of self-educating about nutrition, but I am a nutrition major in college, so I have a basic understanding about healthy eating and nutrient intake. But most people don’t have that kind of understanding about nutrition. 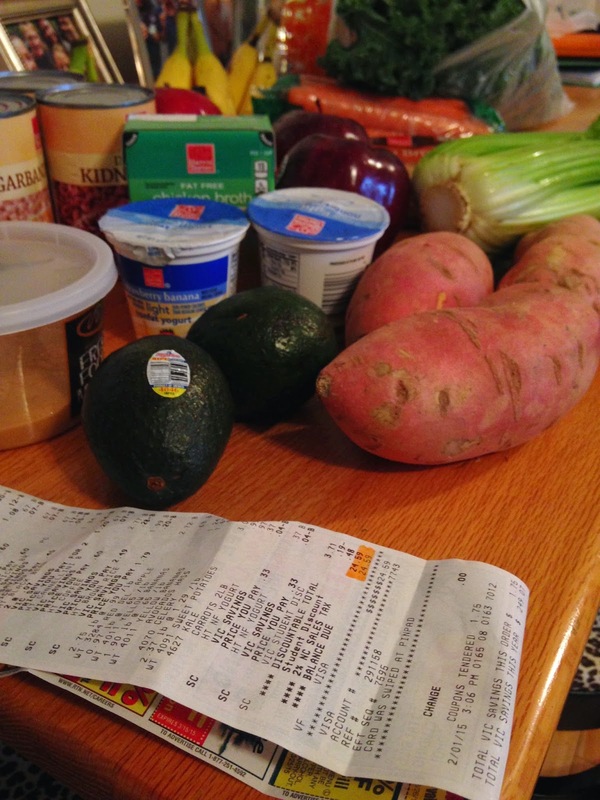 This makes it difficult to shop healthily and buy healthy foods on such a small budget. Health is not the number one priority to a lot of people on SNAP, they just need food, and to stay under budget. If you are at all interested in food insecurity, or food deserts, check out the documentary A Place At The Table (on Netflix). This documentary makes you see first had what millions of people who are food insecure go through every single day. It definitely makes you rethink a lot of what we take for granted. It also shows that this is happening in OUR country, in OUR backyards. This should NOT be happening in America, the country that is known as being the richest country in the world. The sad part of all of this is how big the problem is, because money and politics exists, this problem unfortunately may never be solved.